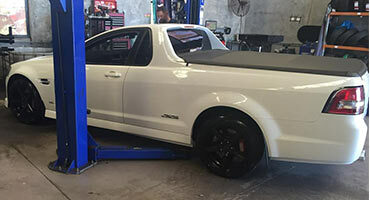 Established for over 42 years, Hammond 4WD Tyres & More prides itself on its reputation for providing high quality mechanical, repairs, fitments and modifications on MOST makes of vehicles. 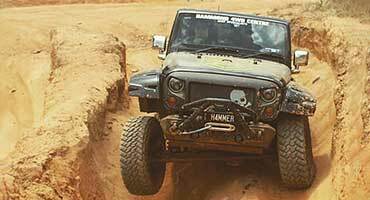 Hammond 4wd have over 125 years of mechanical / Jeep / 4WD experience combined under one roof. Our staff have driven a wide variety of vehicles and are able to provide customers with extensive parts / vehicle knowledge and quality vehicle servicing and repairs. Our workshop is equipped with modern diagnostic and repair equipment and highly qualified experienced technicians. Safety gear, accessories plus many more areas of expertise including vehicle customisation. Hammond 4WD Tyres & More is a privately owned and operated family business located in South East Queensland’s bayside suburb of Capalaba. Hammond 4WD Centre Pty Ltd, previously known as Hammond Jeep Spares & Repairs, was established in Bulimba in September 1974. 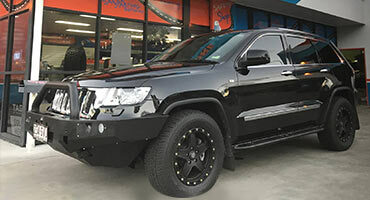 Being Renowned Jeep Specialists,Hammonds maintains the largest range of Jeep parts in Australia and stock parts from the famous army Jeep of 1942 to today’s current advanced models. Hammond 4WD Tyres & More’s premises in the bold orange, blue and white colour scheme were designed & purpose-built for the industry. Catering to the rapidly expanding and highly specialised Jeep and 4×4 market. Our business takes pride in being environmentally friendly and responsible. The premises were designed with this in mind and great care is taken in the cleaning processes and the disposal of waste products. Our team look forward to continuing to supply top service and mechanical advice.